MUMBAI: The Grammy Awards returns with its 61st edition. The ceremony celebrates artists all over the world for their contribution to the field of music. 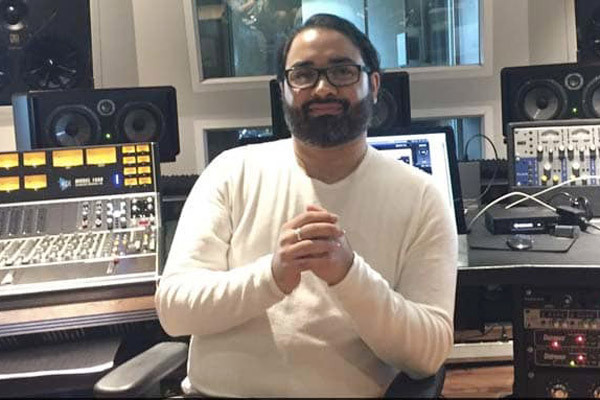 Prashant Mistry, is an Indian origin musician, whose album Symbol has been nominated in the category of the Best Immersive Music Album at the 61st Grammy Awards. “It’s an incredible honour to have my album nominated for a Grammy and to see Jorja Smith, who is a sound engineer, is nominated for Best New Artist. In fact, there is no feeling quite like it. As a musician starting out you dream of things like this, you then spend your whole life learning and studying, trying to perfect your craft,” said Prashant on his noteworthy nomination at the Grammys. Prashant has dedicated the album Symbol to deceased father of the band’s percussionist, Kabir. Symbol was released in 2011 making Prashant one of the only Indian-origin musicians to make a name for himself in electronic music abroad. His band, Engine- Earz Experiment draws inspiration from India. Grammy Awards 2019 will telecast in India on 11 February 2019 on Vh1 India at 7:30 am, with a primetime repeat telecast at 9 pm. Stay tuned to Radioandmusic for further updates.